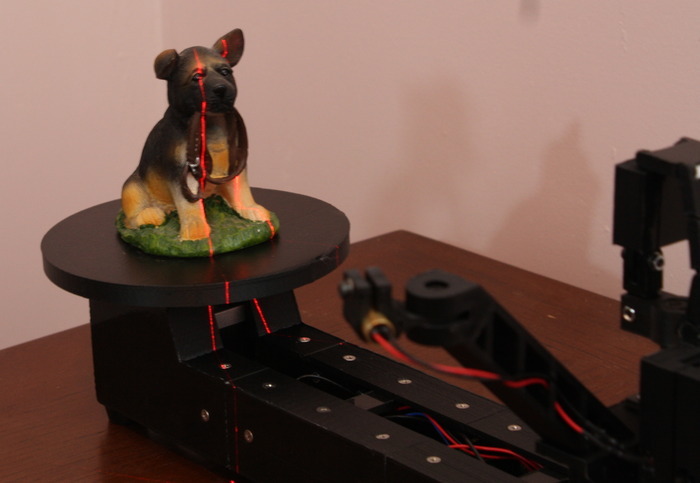 In 2011, 3D printing genius Tony Buser released the Spinscan, an open source 3D scanner based on a laser and a digital camera. 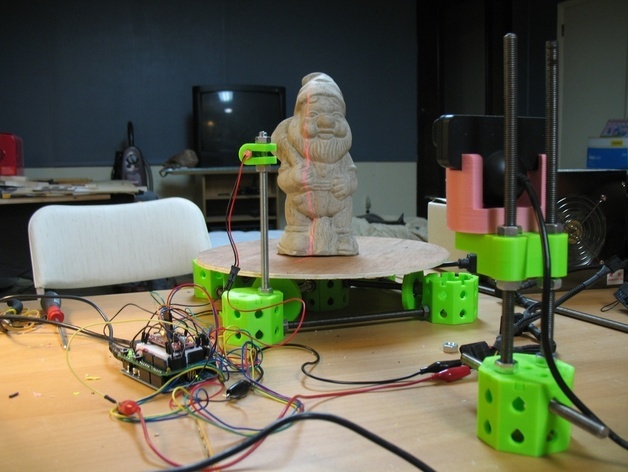 MakerBot later used ideas from the Spinscan to create the closed source Digitizer 3D scanner. Thankfully, Spinscan is still available and has inspired numerous other open source scanners. Below we will take a look at a few of them. The FabScan started out as a thesis project, and has since been adopted by a small community that continues to work on improving its capabilities. The FabScan works like many of the other laser scanners, but is aided by the incorporation of an enclosure that helps to even out light levels, preventing distortion in the scan. An alternative method to laser scanners is the structured light scanner. 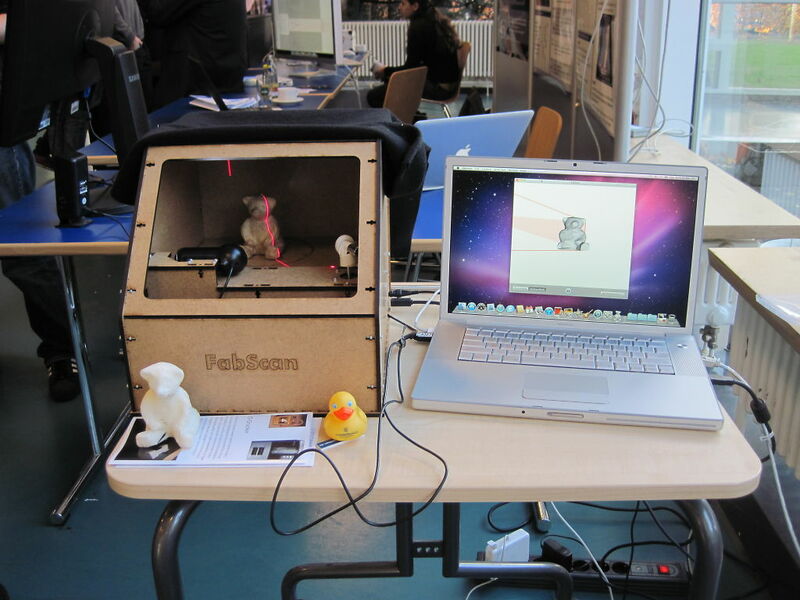 Using a pico projector instead of a laser, the VirtuCube can be easily constructed with a few printed parts and basic electronics. This entire system can be placed into a cardboard box to prevent other light sources from causing errors in the print. Two new and exciting open source scanners were released last week: The BQ Cyclop and Murobo Atlas. BQ, a Spanish consumer electronics company, announced the Cyclop 3D scanner at CES. 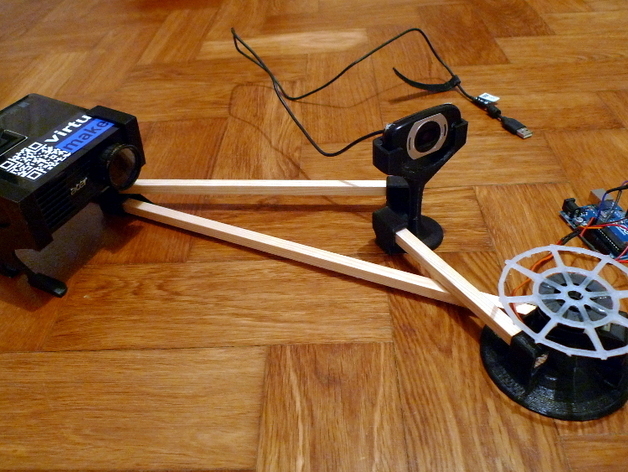 The Cyclop uses two laser line levels, a standard USB webcam, and BQ’s custom Arduino controller. BQ has written their own custom scanning application called Horus. While reports say the Cyclop is not available yet, BQ is stating that it will be later this year. The Atlas 3D scanner by Murobo is currently seeking funding on Kickstarter. Like the Spinscan, Digitizer, and Cyclop, the Atlas uses laser line modules and a webcam to scan an object on a rotating platform. The Atlas replaces the Arduino with a Raspberry Pi to combine control and capture into the device. Like the Cyclop, the creator of the Atlas promises that it will be an open source project. The $129 kits are sold out, but there are some left at the $149 and $209 price points. We will continue to keep an eye out for new DIY scanners as they emerge. With each generation improving software, design, and function, we will hopefully have great things to look forward to in the future.